REA Group CIO Nigel Dalton: AR is a more realistic and useful technology for real estate than VR. For a while now, virtual reality (VR) headsets have made a splash in the real estate sector, among others, by allowing potential investors to virtually inspect buildings difficult to access, or off-the-plan properties that are yet to be built. 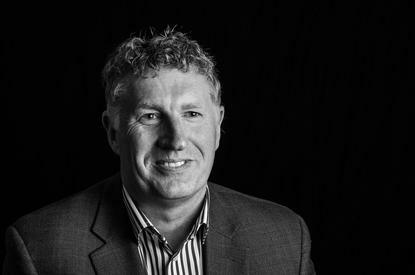 However, REA Group CIO, Nigel Dalton, tells CIO Australia he believes AR is currently a more realistic and useful technology for real estate thanks to the prevalence of smartphones with high-resolution screens helping remove the necessity to use headsets. Though new AR headsets such as Meta goggles and Microsoft HoloLens are now available to order, Dalton says AR doesn’t require you to put a completely enclosed component on like VR does. “Those headsets are quite bulky, and you look like a bit of dork wearing one, to be honest. Over time those will get smaller, but not everyone is going to own an augmented or virtual reality headset,” he says. While VR allows customers to immerse themselves within the design of a property yet to be built, advanced use of AR in real estate advertising bridges the gap for existing buildings. Using just their smartphones, the user can interact with a property similar to how they would via a traditional browsing app or website but in a more granular and streamlined way, according to Dalton. This option would be appealing and accessible for potential owner occupiers browsing properties in a specific neighbourhood, or for those who wish to inspect investment properties that are inconvenient to travel to. REA Group’s mobile phone-led AR strategy mirrors recent research findings from analyst firm, Telsyte, which found that both AR and VR will be powered by smartphones beyond 2017. The Telsyte Australian VR & AR Market Study 2016 said AR and VR would revive more mature smartphone and high-end PC markets, with a shift to more business applications, like with REA Group. This change is anticipated to spawn an ecosystem of developers that can help businesses take advantage of this new interface, much like the boom in Web and mobile app development. “The AR path has opened for us thanks to mobile phones, which now have great cameras and screens. With some magic around triggering an image or a video, a 3D model, or any digital asset you can see - we can now layer that as if it magically existed right in front of us … looking at products ‘through the glass’, instead of ‘on the glass’,” he said. 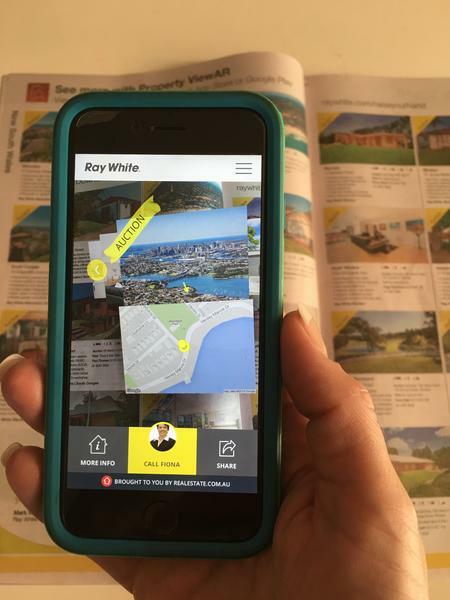 Last month, REA Group’s realestate.com partnered with real estate firm, Ray White, in an AR-inclusive marketing initiative to drive housing auctions across Australia. Utilising newspapers owned by the group’s parent company, News Corp Australia, the Raise More Hands campaign combined print and digital media with the mass distribution of Ray White’s flagship magazine, which contained more than 400 listed properties. Each property featured was “brought to life” via realestate.com’s new AR application – ViewAR, Dalton said. Readers were able to scan their mobile phone over a property listing to access digital content, pictures, videos, and even 3D virtual tours available on realestate.com.au. News Corp Australia CEO, Peter Tonagh, said the initiative brought together “the serendipity of browsing newspapers with the interactivity of digital technology”. REA Group CEO, Tracey Fellows, added that she believed the campaign and use of AR use was going to change how people see and view property overall. “Our team lives and breathes technology that makes property simpler, more efficient and stress-free. This commitment to innovation is what has allowed us to bring the first augmented reality property app to life,” she said. The success of the campaign has given REA Group the green light for expanding AR capability out across all of its print property listings, Dalton added. Though AR isn’t exactly a new phenomenon, Dalton says the difference is the prevalence of high resolution smartphones and the use of the realestate.com application. “While you could have built an AR product for a print ad two years ago, not everyone had a mobile phone with the realestate.com app in their pocket, now we have several million people with that app and it gives us an incredibly base on which to do research,” he says. REA Group partnered with software startup, Platter to develop the first generation of the ViewAR app, which enables them to assemble augmented cross media campaigns quickly. Dalton says the software is more sophisticated than it would’ve been a year ago thanks to the introduction of ‘computer vision’, which allows people to access and review images at a much higher granularity and speed than ever before. “A year ago we would’ve had to have a large QR code in each one of the 400 houses that we augmented to link back to photographs, a street map and other details. That requirement is gone now,” Dalton says. “In today’s property market, there’s both a consumer need to be more efficient with their time in the ‘open for inspection’ process, and an agent need to get more out of the time they have with their clients as they come for inspections or looking for new property developments. As there are many thousands of properties advertised each week, a key challenge for REA Group is getting the workflows right to ensure the right assets are attached to the right print advertisement or sign board. “We’re working on that aspect of the technology to automate that rather than doing it all manually. Good workflows will make it simple for our clients to add an augmented element to their listing,” Dalton says. Despite the ease of newer AR applications, Dalton says VR and other technologies will still play a role in the future of real estate advertising. REA Group in particular is no stranger to VR, having previously partnered with 3D tech specialists, Scann3D, and property developer BPM to allow potential buyers to do a virtual walk-through of a yet-to-be-built Melbourne apartment development for realestate.com. The organisation has also partnered with Zero Latency – a Melbourne startup and creator of a popular zombie-apocalypse style game where users donned an Oculus Rift headset and computer in a lightweight backpack to go on a rampage shooting virtual undead. REA Group utilised Zero Latency’s virtual property building components to develop its own VR software to make the technology more accessible to customers. “We’re committed to R&D on all those fronts, but what has come into play is the power of the mobile phone, literally the horse power of the processor and the camera,” says Dalton. Moving forward, REA Group will continue to experiment with AR and VR options to suit the growing audience. The Group also hopes to add new 3D floor plans to its augmented printed listings through its partnership with 3D modelling firm, Diakrit. “We’ve prototyped 3D floor plans and layouts as an enhancement to the asset or listing, and it was quite a magical to look at,” says Dalton.